This plan covers the Bible in one year, with two daily readings alternating between the New Testament and Old Testament. To prevent the frustration of falling behind, each month consists of only 25 readings, which gives several days to ‘catch-up’. 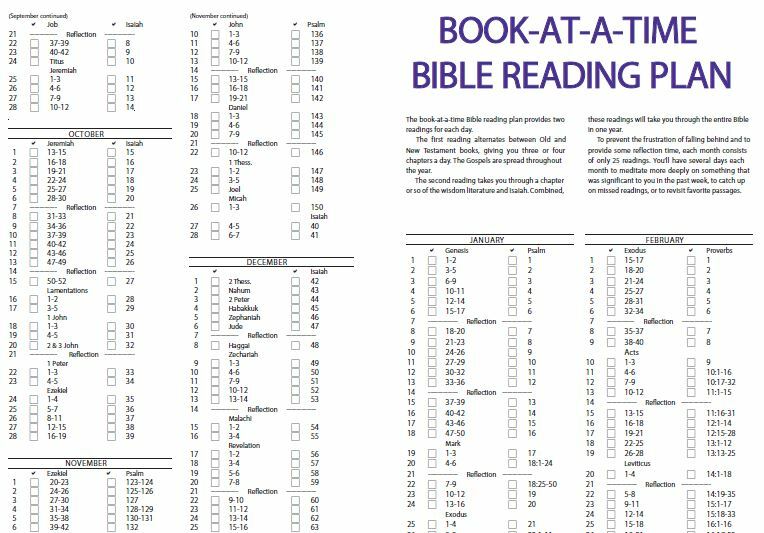 Click on this link to download the Book-At-A-Time Bible-Reading Plan.